Given the rise of social media in the past decade, it is fairly common to be placed into a situation that requires you to smile for a camera. However, if you have yellow or discolored teeth, you may not be so quick to flash your grin. Many people have turned to at-home teeth whitening products in an effort to obtain pearly whites. Are these at-home whitening treatments safe, though? Most at-home whitening products contain peroxide as their active ingredient. Peroxide is able to penetrate stains that have reached deeper into your enamel. Most dentists agree that peroxide is safe, but should not be used on a frequent basis. One of the main issues with at-home whitening products is that some of them contain levels of peroxide that are too high. Even safe levels of peroxide can cause tooth sensitivity, but this becomes especially true with options containing higher levels of peroxide. The main issue with at-home whitening is that some of the whitening treatments use a mouth tray as a delivery system for administering the whitening solution. If you go to a dentist for a whitening procedure, they also use a tray delivery system. There is a big difference, though. The dentist is able to custom-design a tray that will fit seamlessly into your mouth. This will prevent any of the peroxide solution from coming into contact with your tongue, gums, and throat. At-home whitening treatments that use a tray delivery system utilize a one-size-fits-all approach with the tray design. This promotes leakage of the bleaching solution, making it more likely to come into contact with the soft tissues of your mouth. This can cause damage and even burn some of these tissues. 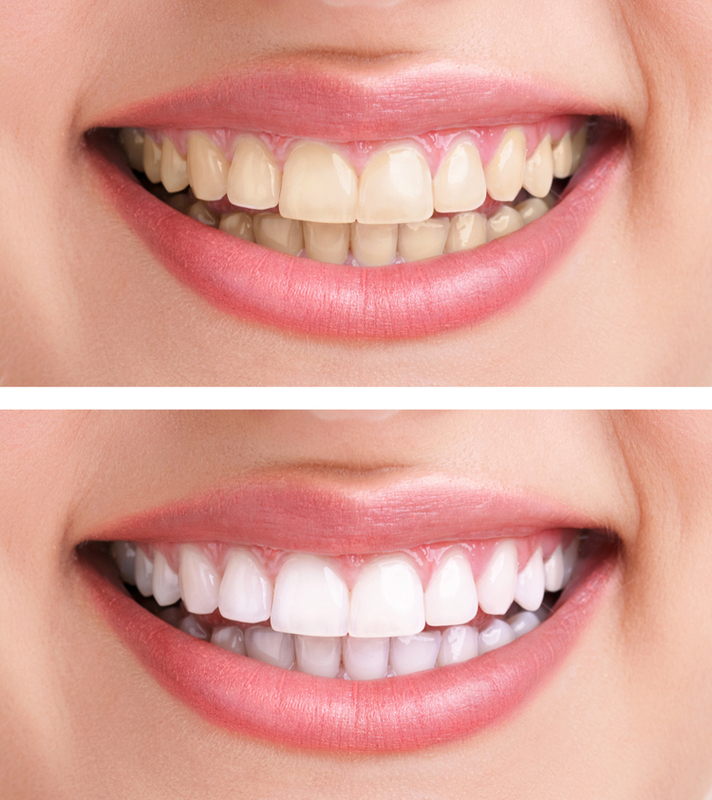 If you are interested in whitening your teeth, it is best to go to a dentist and have it professionally done.